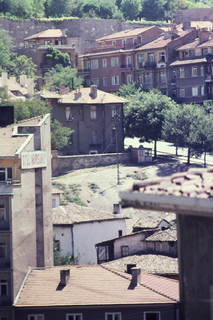 These slides of housing and population of Ankara, Turkey were taken mostly between 1968 and 1976 with a few additional slides being taken in 1989. 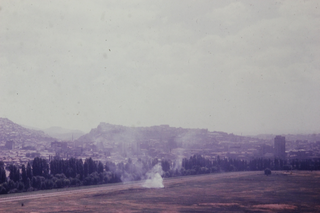 They are structured to represent the different environments that have emerged as Ankara rapidly urbanized during the latter half of the 20th Century. 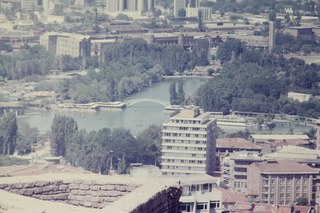 First, there is the historical city of Ankara. The city emerged from settlements as old as 2000 BC, but achieved some prominence during Roman times when it was known as Angora. 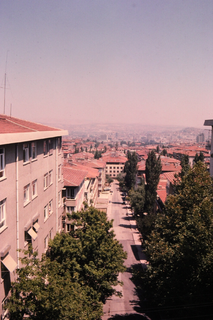 From our perspective, it was a provincial capital at the time of the Turkish independence war (1919-1923). 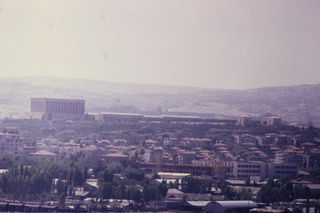 In 1920, in the midst of that war, the commanding general of the independence movement, Mustafa Kemal (Atatürk), decided to make Ankara the capital of the new Turkey as a symbolic rejection of the historic capital (Istanbul). Second, initially the parliament was located within the historic city in an area called Ulus. But, shortly thereafter, the government decided to build a new capital approximately 3 kilometers from the historic center and which came to be known as Yenişehir (new city). 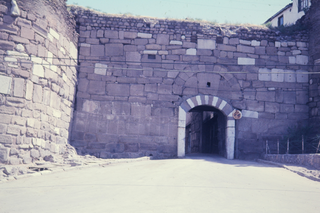 Thus, the distinction between the old city (Eski şehir) and the new city (Yenişehir) emerged. Starting in 1929, the new city became a planned city with the Turkish government hiring a master planner to design it (the German architect Hermann Jansen). 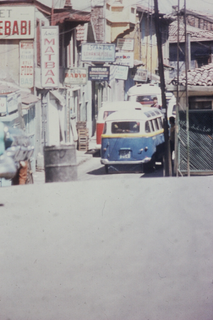 The slides in this collection capture some of the dynamics of both the historic and new cities (i.e., neighborhoods). 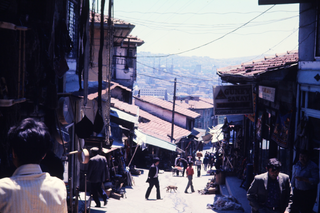 Housing in the old city area was dense and was interspersed around traditional commercial activities (e.g., banks, restaurants, coffee houses, and housewares). On the other hand, housing in the new city area was mostly upper income and served the bureaucrats who worked in the government agencies, the emerging professional and academic occupations, and the foreign embassies and staff of the new capital. As the new ‘city’ expanded, many middle- and upper-class neighborhoods were built. But starting around 1950, another demographic phenomenon occurred. Agriculture, which had been traditionally very labor intensive, started to be mechanized. 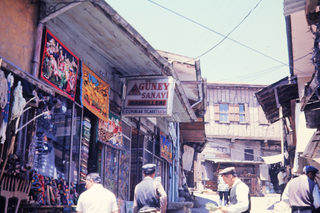 Within a few years, large numbers of people who had been small farmers or held rural occupations started to move to the cities, particularly to the two largest ones of Istanbul and Ankara. 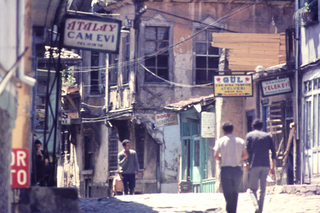 Because the numbers of people going to these cities far exceeded the amount of available housing (and, in the case of Ankara, much greater than that which had been planned for), communities started appearing on vacant land in and around the city. 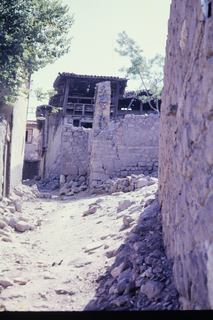 The communities were known as Gecekondu (‘Built in the night’) because they would suddenly appear almost as if they had actually been built overnight. 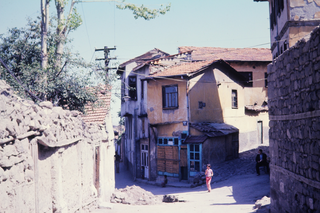 The earlier Gecekondu had many characteristics of rural homes (e.g., with small gardens). 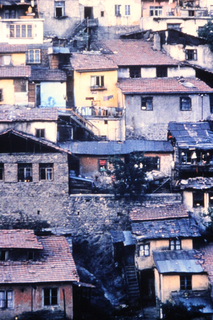 But as these communities filled in with people, the housing became more dense. Thus, the city started to change. 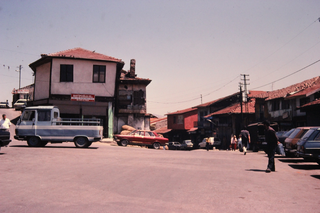 The photographs were taken during the peak period of growth of the Gecekondu. 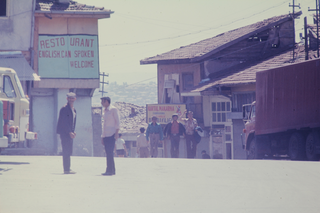 By that time, approximately 65-70% of the population of the city lived in the Gecekondu or as service workers in apartment complexes built for the middle class. 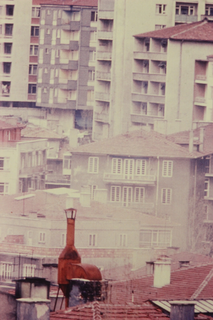 Thus, many of the photographs show the impact of the migrants on Ankara, both in terms of the Gecekondu housing as well as in the proliferation of occupations for which the migrants worked. 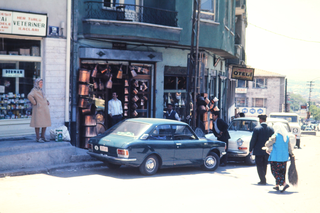 In Ulus, for example, much of the business activity was held on the street, rather than in shops, because the cost of doing business on the street was a lot cheaper than by renting a shop. 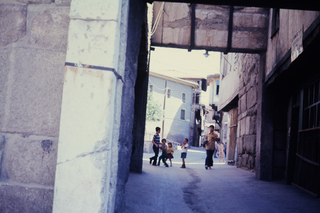 In 1989, more photographs of the city were taken. 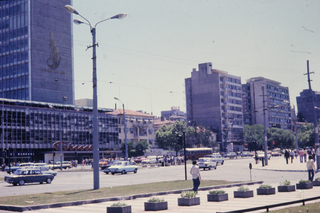 Several of the slides were of places that were photographed 20 years earlier, and the changes can be seen. 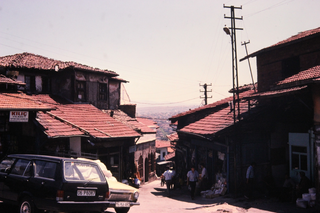 By this time, the individual homes of the Gecekondu had virtually disappeared and had been replaced by denser homes or, increasingly, by high density housing. In short, the population of the city started to change. 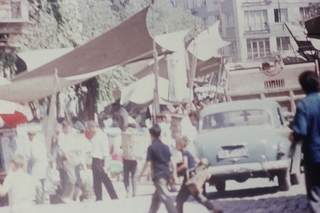 No longer was it dominated by a traditional ‘provincial’ sector in the old city or by the modernists of the new city, but by the migrants and their children who had inhabited the city outside of the planned framework of the modernizers. In time, they came to dominate politically as well. The slides are organized into four sections that capture some of these processes. 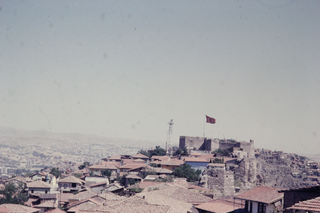 First, there are slides of the historic castle and the old provincial neighborhoods of Ulus. Even in 1969, the castle area was occupied by mostly low income persons living in run down residences. Second, there are slides of the new city and the emerging upper- and middle-class neighborhoods. 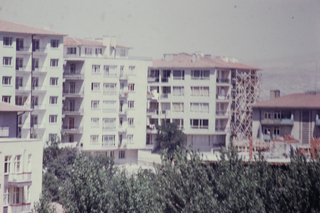 Third, there are the Gecekondu developments with photographs of the spread of these housing clusters around the Ankara area. In addition, there are slides of the high-density, low-income apartments seen in 1989. 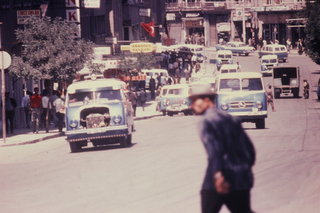 Fourth, and finally, there are photographs of the emerging Ankara population in 1969 and some of the occupations that they held. 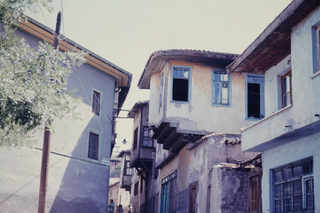 Old City - "Eski Shehir"